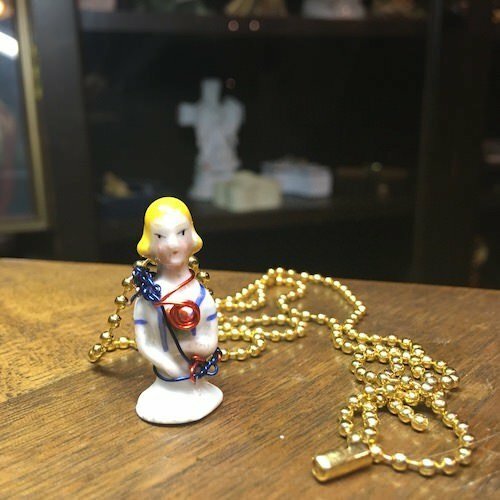 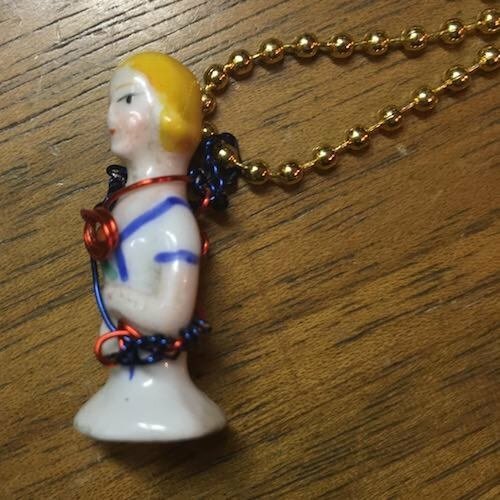 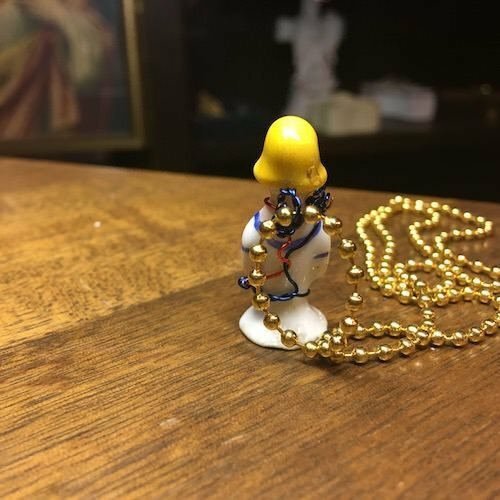 What was the original purpose of this very tiny (less than 1" tall) porcelain half doll? 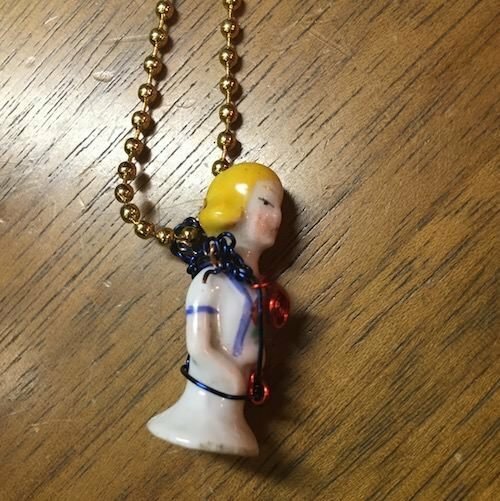 Many were the top pieces to pin cushions but I've never seem a pin cushion small enough to fit her. 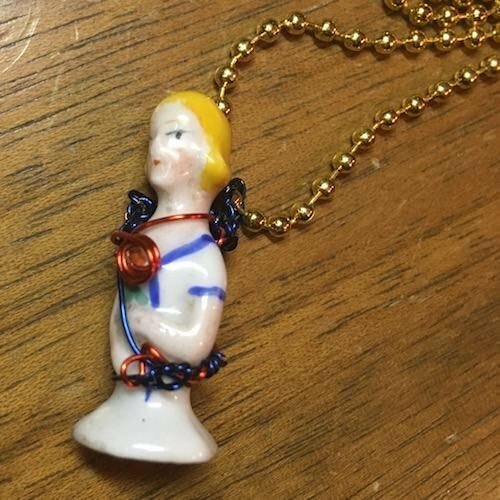 Whatever she used to be, she is now a little token wrapped in wire and just waiting to be worn around your neck. 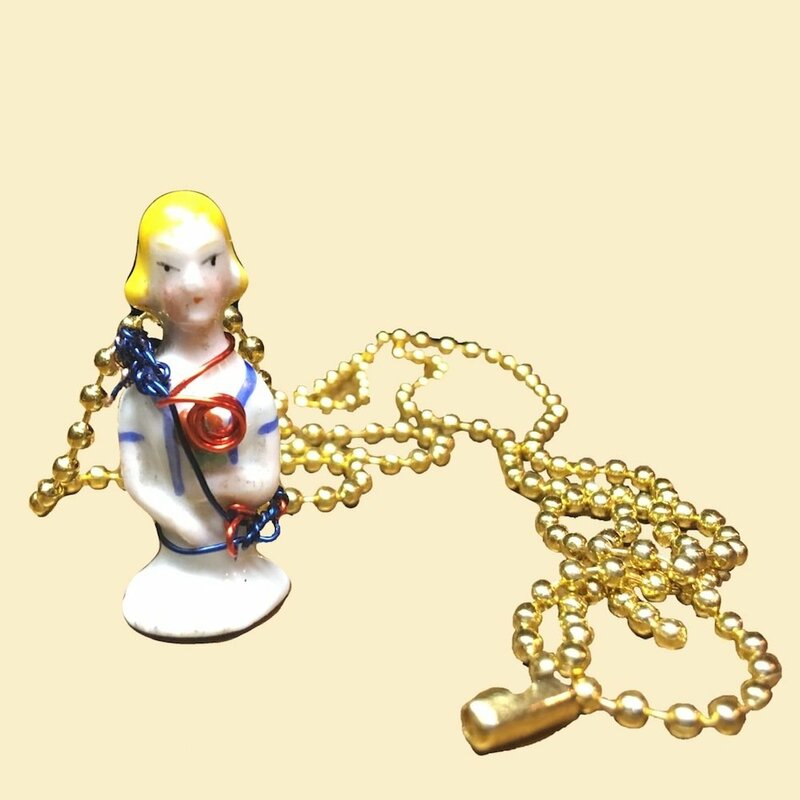 Comes with an 18" gold tone ball chain.